The recent Nintendo Direct, most notably as Wii U Direct, has a “bit” of controversy here at WiiWareWave. Repurchasing Virtual Console title isn’t really new. There are a few NES titles available to download from the Nintendo 3DS for which there is no current way to download them for free to those who previously purchase the same title from the Wii, despite the fact that both systems are connected to the same Club Nintendo account. However, The Wii U Virtual Console issue is abysmal compare to the 3DS Virtual Console. Mr. Iwata announced that the Virtual Console games that are transfer from the Wii must be repurchase at a reduce price in order to experientially enhance them on the Wii U as their eShop counterparts. At first, you might be thinking the ridiculousness that Nintendo is willing to charge us to transfer the already transferred Wii Virtual Console once their counterparts are available on the Wii U eShop. As it turns out, Those Wii Virtual Console titles were never transfer to Wii U in the first place, since they’re currently stuck in Wii mode. Technically, you’re transferring your Virtual Console and other downloads from a Wii system to a different Wii system that is disguising as a Wii U console. In reality, the additional purchase is not for a secondary transfer procedure, it’s for an entirely different emulated release. Two identical NES titles, one from Wii and one from 3DS, are both emulated differently. Simply transfer a Wii Virtual Console title to the 3DS (assuming) will not work. It goes for Wii and Wii U Virtual Console as well. 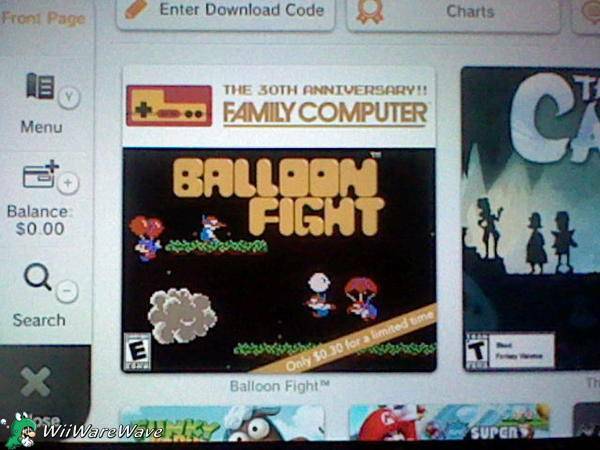 The first Virtual Console release for Wii U is Balloon Fight. After experience it for a few minutes, I already notice that this emulated NES title is an improvement on Wii U. Your free now Balloon Fight. You’re no longer trap in Wii purgatory. I remember how disappointed I was when after downloading Super Mario World, my first Virtual Console purchase from my Wii. I remember enjoying the 16-bit visuals as a kid. Replaying the same game on the Wii, however, from this emulated masterpiece is not as nostalgically polish as I can recall. I feel the way for another previous experienced SNES title on the Wii Virtual Console, Super Castlevania IV. I decided at that point I only purchase emulated SNES titles that I haven’t experience such as Super Mario RPG and Super Metroid, which works wonders for me as I can appreciate the visuals for what they are. I can’t wait to try out on the first SNES title from the Wii U eShop to see if the Wii U Virtual Console is in true native resolution compare to the Wii Virtual Console. 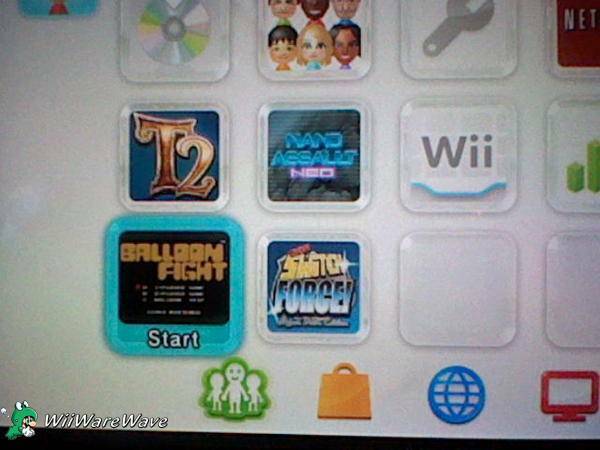 Wii U is not backwards compatible with Wii (except for Wii retails). If it does, then why do we need to repurchase a Virtual Console title on the eShop that we previously purchased it and already transfered it to Wii U? Think about it. Did you enjoy the latest Videogame Discussion? Are you still upset about the Wii U Virtual Console? Leave your welcoming thoughts at the comment section below. I can see the disscussions starting now. Honestly though even at the reduced price, I dont want to purchase my games again. So looks Im stuck playing them in Wii mode. I think the emulations on the Wii VC are perfectly fine. NES title, Teenage Mutant Ninja Turtles is emulated just as I remember it as a 9 year old child. Which was actually the very first game I ever downloaded from the WiiShop. Honestly it doesn't bother me but than again I grew up in the days were backward compatibility was a dream, which is one reason I still have alot of my old systems and games. Thats probably also why I am having a hard time understanding why everyone is getting upset because they have to pay a reduced price to play their Wii VC games on their Wii U with upgrades. I mean if I could have payed a reduced price for Super Mario All Stars on the SNES because I bought all the games on the NES I would have been ecstatic. Or if I could have got a reduced price for buy Secret of Mana on the Wii VC cause I have the cartridge. In my eyes we are even lucky Nintendo is doing this since the Wii U is a new system they could have just said no they werent going to do this.